The Presets, Sydney's electronic music virtuoso will be performing their classic & new tunes, including those from their recently released fourth studio album ‘HI VIZ’, at Ulu Cliffhouse, Bali on the 14th of July. This performance is part of their HI VIZ tour. With four years in the making, Hi Viz is set to captivate guests of any party with enchanting and electrifying groove music. The duo has collaborated with several well-known artists in their career, four of them were the famous Daft Punk, Wolfmother, Kings of Leon, and Lenny Kravitz. 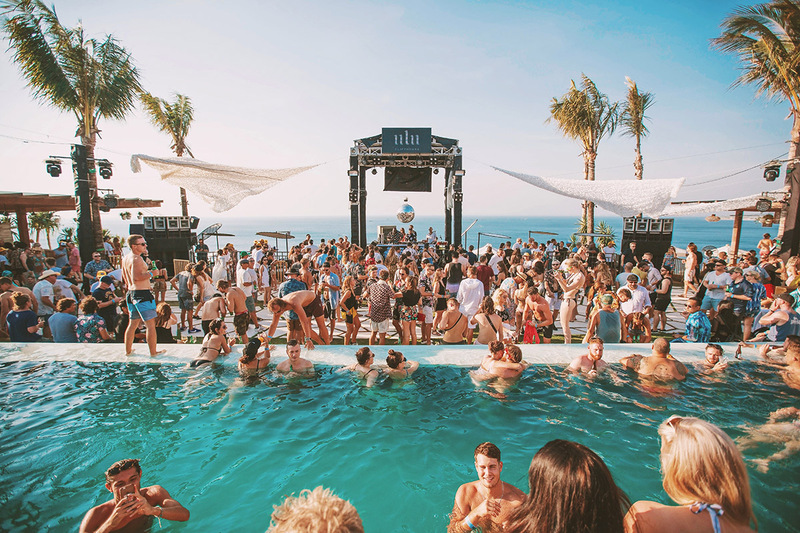 At the moment, they are also regularly invited to perform at various music festivals such as Coachella, CRSSD Fest, Glastonbury Festival, and Splendour in The Grass. New songs such as “Do What You Want”, and “14U+14ME” are included in the triple j’s Hottest 100 songs of 2018 list. And “DowntownShutdown” is currently triple j’s most played song of the week. Those songs are all on the set list for the guests to enjoy. The HI VIZ album was released on June 1st 2018. Compared to their other albums during the mid-2000 electro-pop heyday, Hi Viz brings more futuristic vibes and energy to its tracks. Kim Moyes and Julian Hamilton have recently performed at several cities in Australia to promote their new album. From Melbourne in the south, to Brisbane in the northeast. Now it’s time to bring the legend to “Ibiza of the east”, which is none other than the magical Bali. 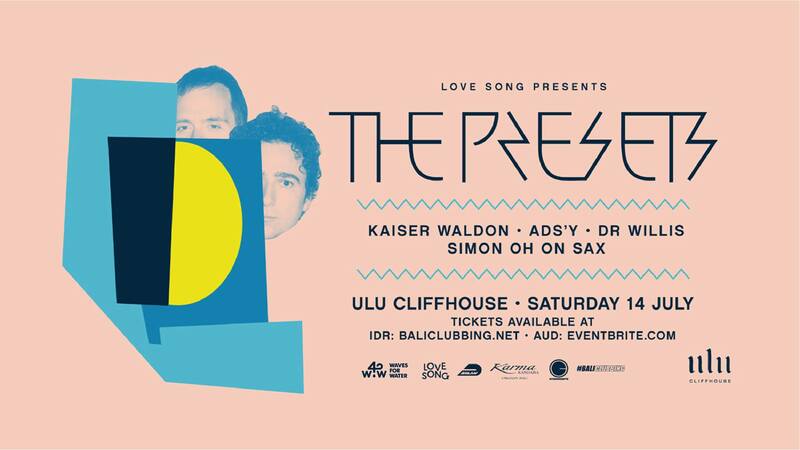 The Presets won’t be alone as some other talented artists such as Kaiser Waldon will perform as their opening acts at Ulu Cliffhouse. Following the performances of world famous DJ’s Beastie Boy Mike D, Grammy-award- winning DJ Nic Fanciulli, Bushwacka! and Sir Norman Jay MBE, Carl Cox and popular Australian rock band Dune Rats at Ulu Cliffhouse, The Presets is now ready to bring an electrifying HI VIZ party to the crowd. Guests are going to be able to enjoy the breathtaking views of the exotic landscapes of Uluwatu, Bali. Undoubtedly as one of the hottest beach clubs in Bali, Ulu Cliffhouse, within its first year was also voted as one of the world’s most beautiful restaurants by Conde Nast Traveller. It is a perfect place to host such a big party for the Australian electronic music maestro. This event is surely not to be missed for any electronic music enthusiast. Be a part of the HI VIZ party, enjoy the tunes, and have a good time at Ulu Cliffhouse.